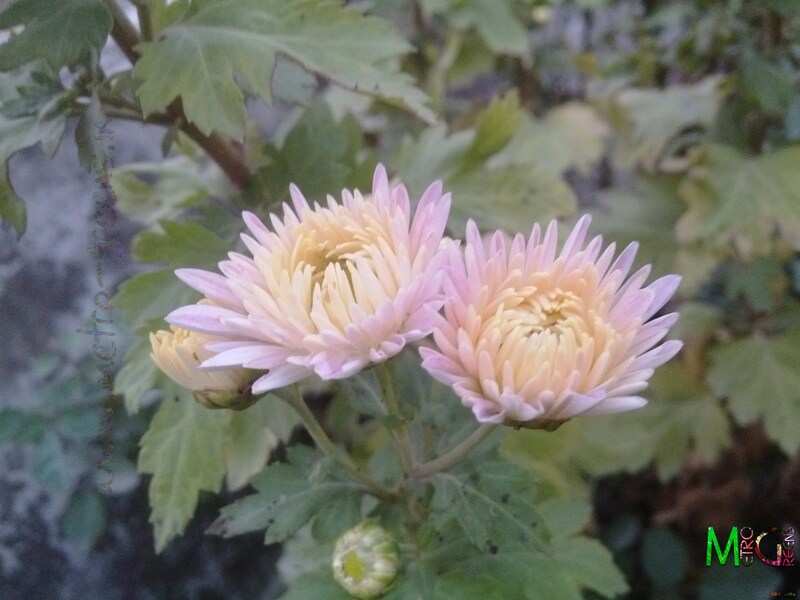 Last time, I shared some of the blooms of my orange chrysanthemum plant. This time around, as promised in the last post, it's time for two different varieties of the white (cream) ones. 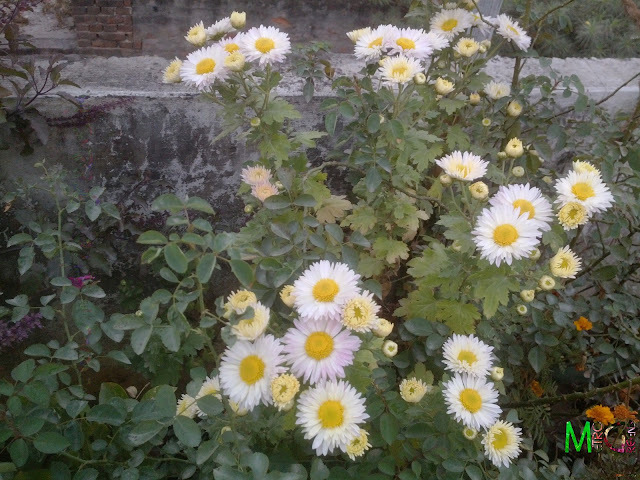 One of the varieties, I got the in the winters of the year I moved on to this house. And the other one, I brought in last year, along with the orange one. The density of the blooms is what amazes me. If I can get such great results in small pots, I can just imagine the scene these pretty plants are capable of reproducing on land. As in last post, I'll let the shots do all the talking. 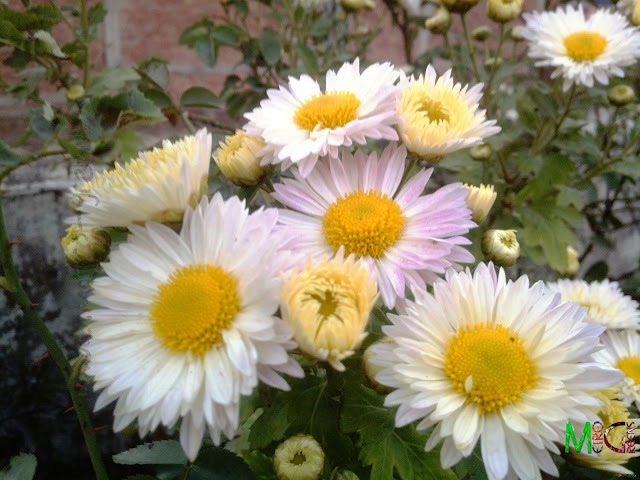 Featuring here, two pots of the cream coloured chrysanthemums. 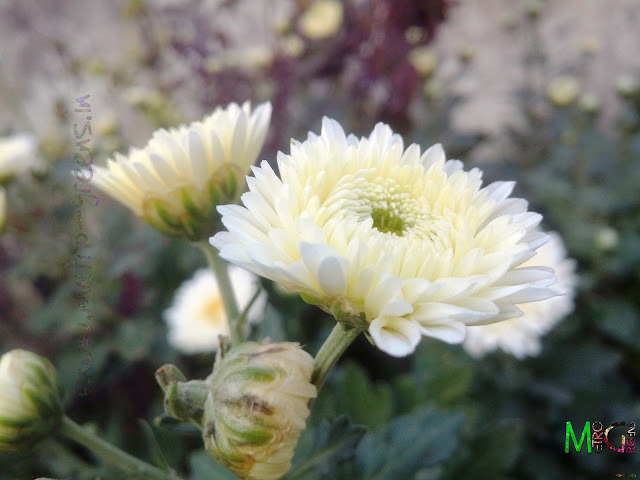 A partially bloomed buds of the white chrysanthemum. Shown here is the cream coloured chrysanthemum. A partially bloomed flower. 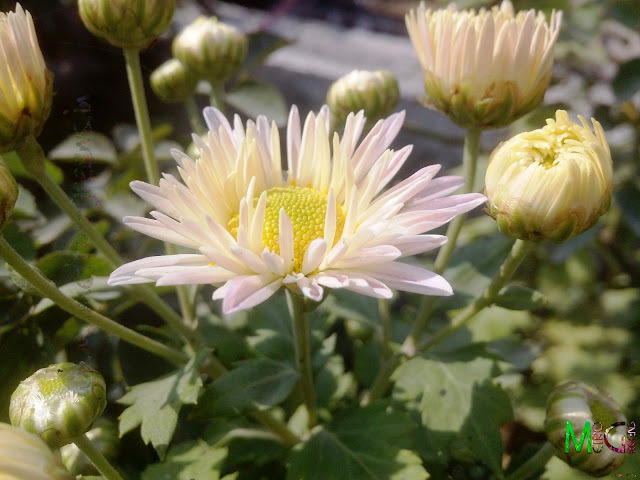 The cream coloured chrysanthemum. A partially bloomed flower. The white coloured chrysanthemum. 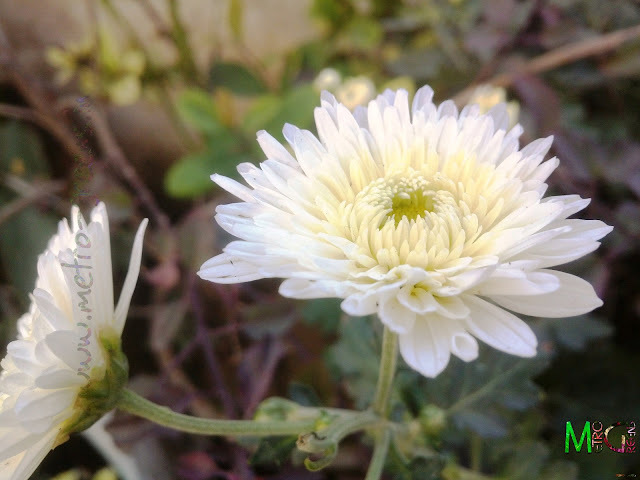 A partially bloomed flower. 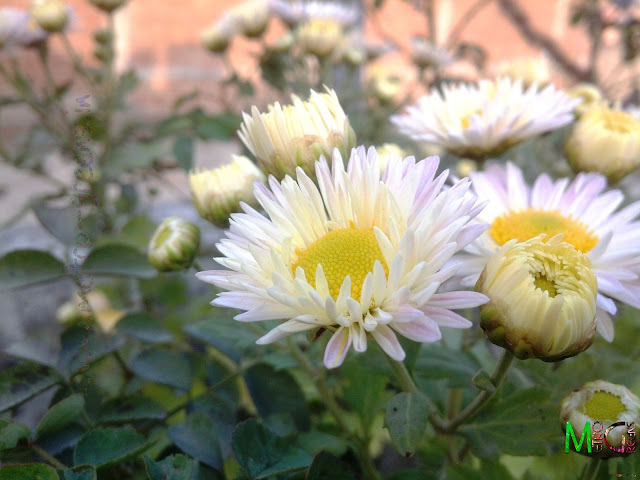 This flower initially has a light pink tint in the petals, which changes to white. 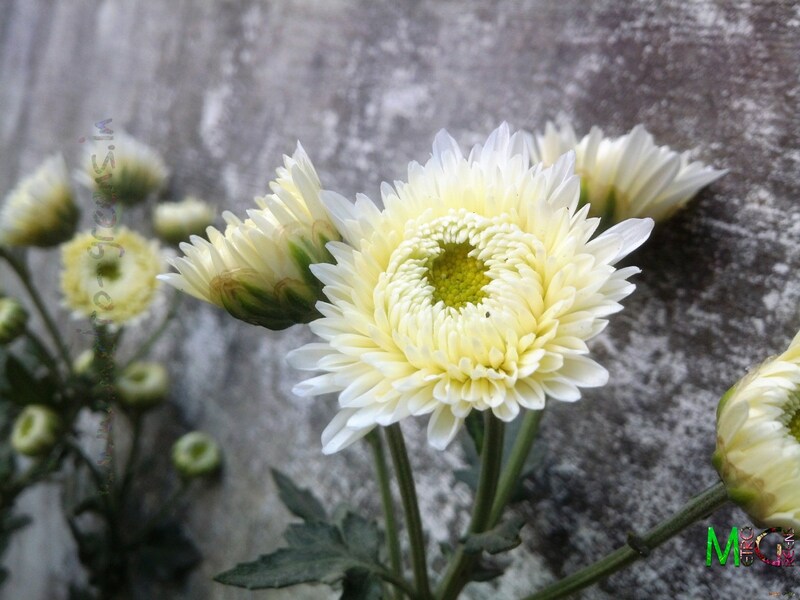 The white coloured chrysanthemum. The entire plant. 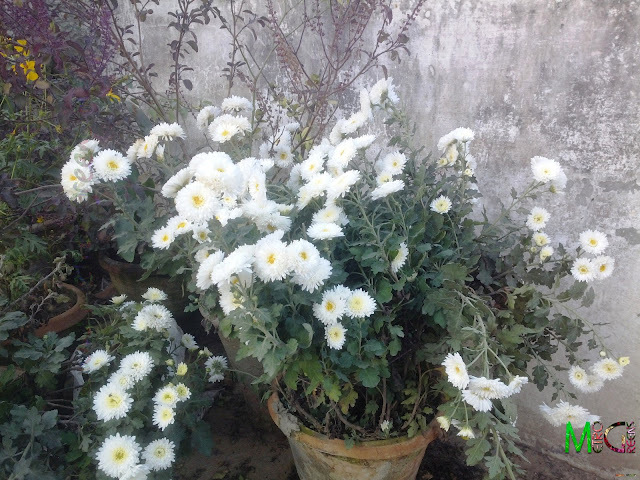 The white coloured chrysanthemums, a bunch of the blooms. 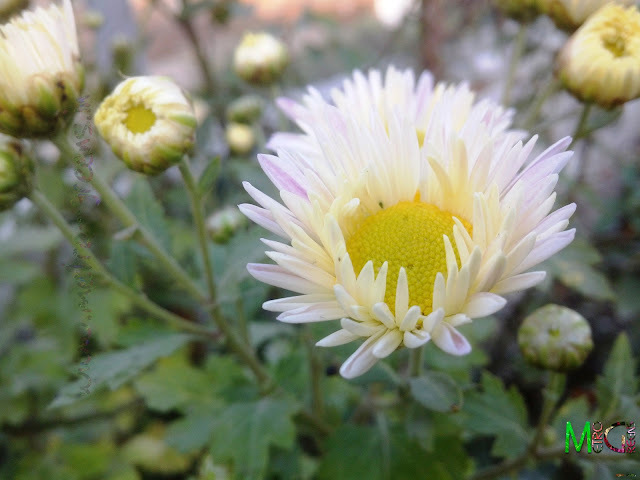 One of the pots of my chrysanthemum plants. I am required to tie all the different stems, which have grown to become a separate plant. 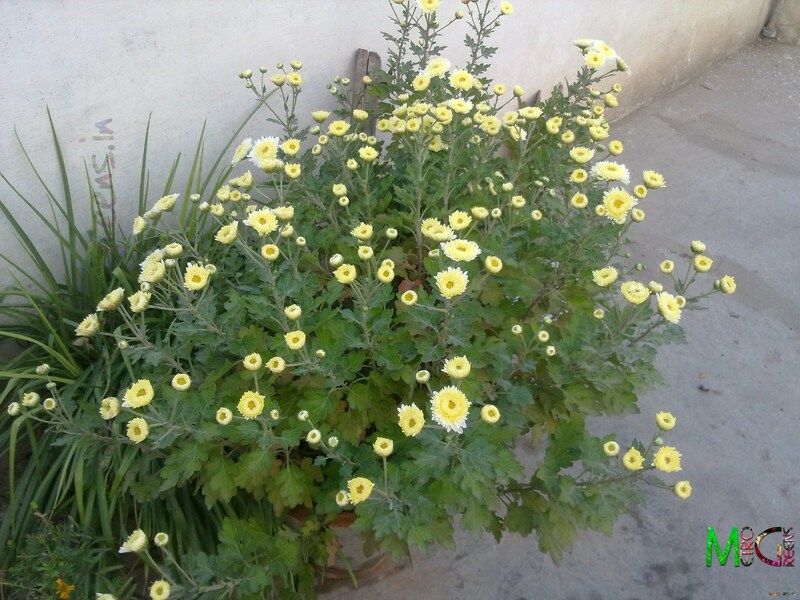 The heavy blooms make the thin stems span out and face downwards due to the weight of the blooms. For now, I'll leave you with these shots. In store is a post on a plant enemy, a dangerous one, a horn worm, that somehow appeared in my gardening space and quickly inflicted an extensive damage to one of the holy basil plants. Thankfully, I noticed it pretty early, and then was fast to remove it before letting it do any more damages. I'll be back with some more adventures from my gardening chronicles. 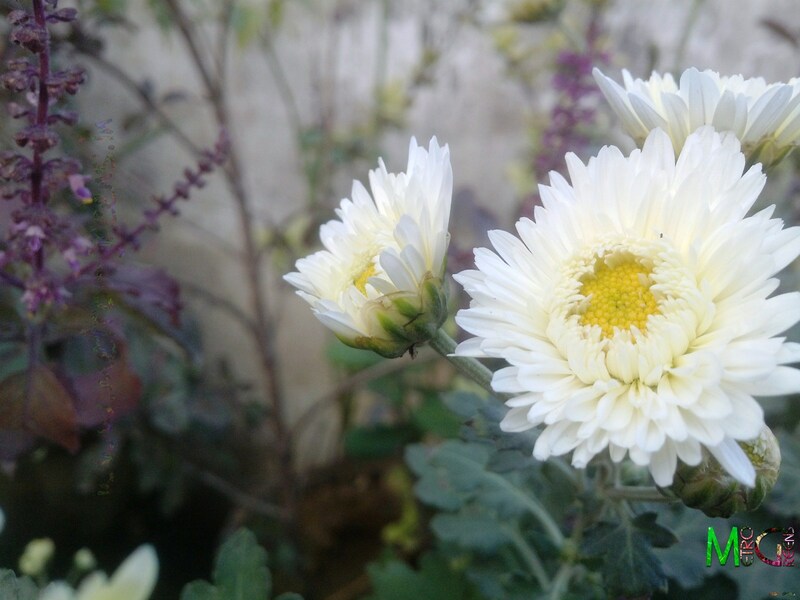 Till then, keep visiting and HAPPY GARDENING! 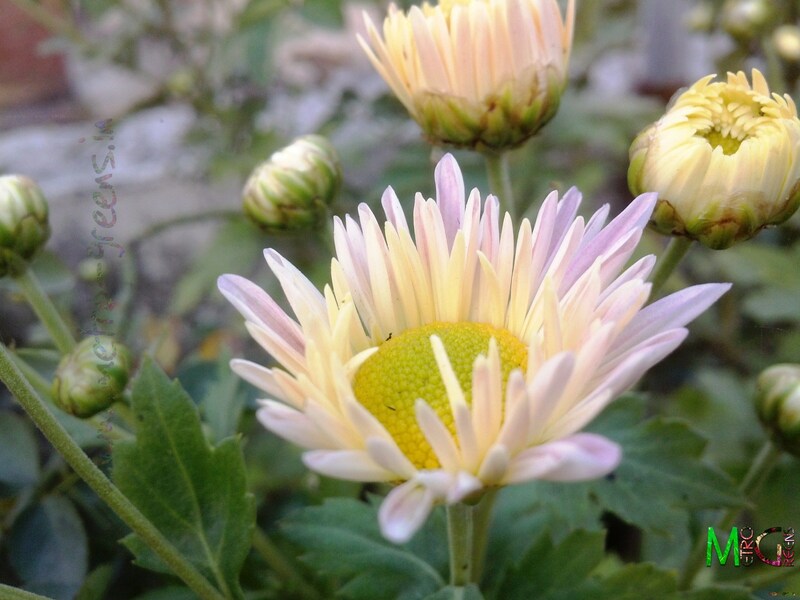 Great Chrysanthemum shots, CyberKID! The last year Mums are beautiful too. Did you take cuttings from last years plants or get fresh ones? Wow, nice photos, and the close ups are amazing. Thanks for sharing with us.